A Business Plan is a structured description of how you do what you do. The plan needs to articulate the problem the business proposes to solve, a vision for how that will be accomplished, and what uniquely qualifies you to do that. Writing a Business Plan is often essential when trying to convince potential funders who want to know where their money will be going or when you want to get the buy-in of executives for a Change Initiative. The plan should also include an introduction to the management team, a marketing plan, an operations and financial plan, and any other requirements. This means covering all the different aspects that a funding partner might be interested in, using the kind of language they will be looking out for. 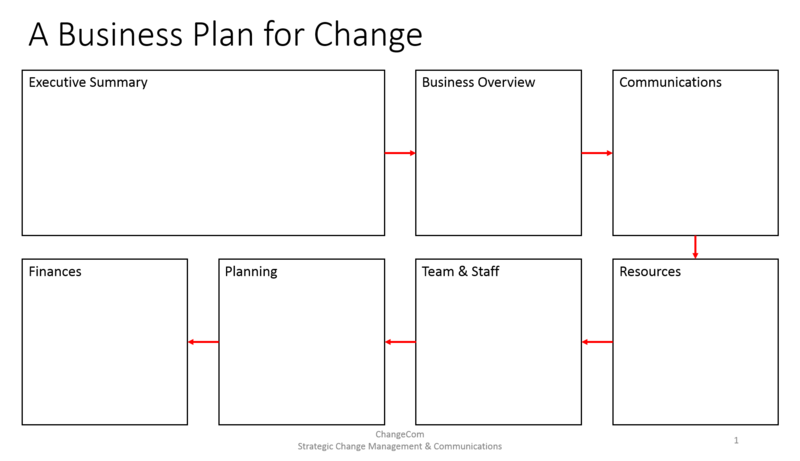 While a tool like the Business Model Canvas provides an overview of what you want to do (as well as why and how you want to do it), a Business Plan is a way of providing more detail on the operational and economic foundation of how you will make this a reality. The structured worksheet of the Business Plan helps you describe what makes your idea for social impact a viable endeavour. You can download it as a PPT here. summary. This usually sits at the start of the document, but it is seldom written as the first section. It is easier to write it after you have completed a first draft of your Business Plan. Once you’ve written your Business Plan, get someone to read it for you. It helps to get a fresh perspective to identify any issues you might have missed out on.